Ask Them What They Mean By Choice!? 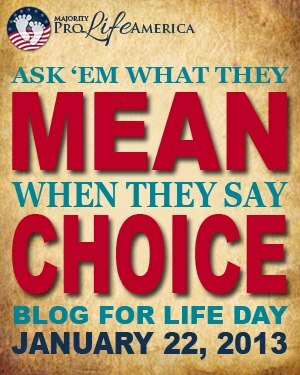 Make sure to check out the 3rd Annual Ask Them What They Mean By Choice!? Blog Day over at Jill Stanek’s blog! Support our Catholic Bloggers and feel free to link up your posts here as well! I would love to hear your thoughts or comments! Following up on my post yesterday, this post shows that abortion has been LEGALLY defined as ending human life!